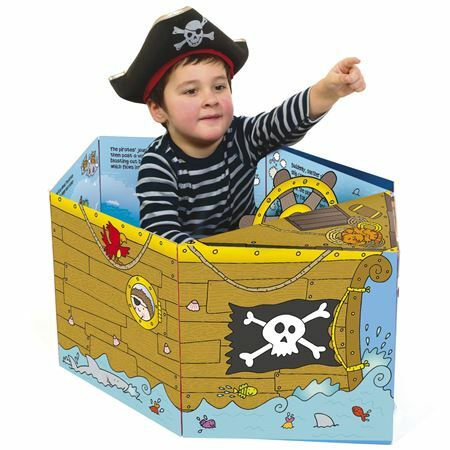 A pirate ship with fabric sail, pirate and accessories for fun and games in the bath. 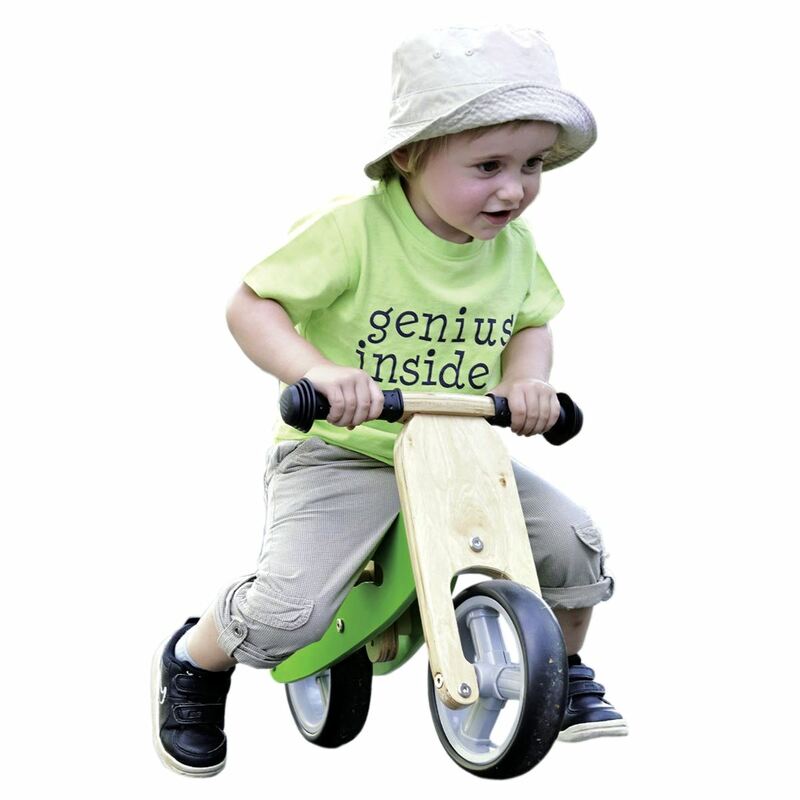 A super quality bath toy, sustainably made. 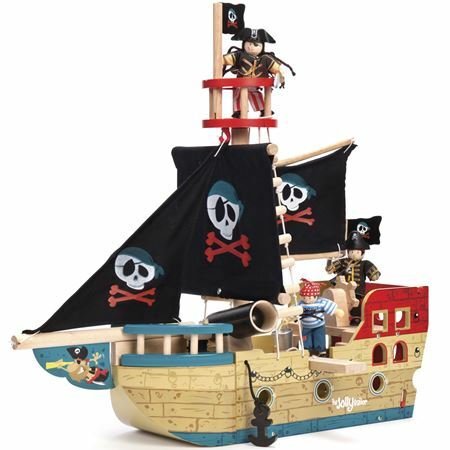 A Plan Toys Pirate Boat with fabric sail, removable pirate, moving cannon, oar and treasure chest – everything you need for seafaring escapades – great for bath time or paddling pool fun! Size Boat dimensions 21.5 x 12.5 x 4.5 cms. Plus mast height. Jolly Pirate Ship. 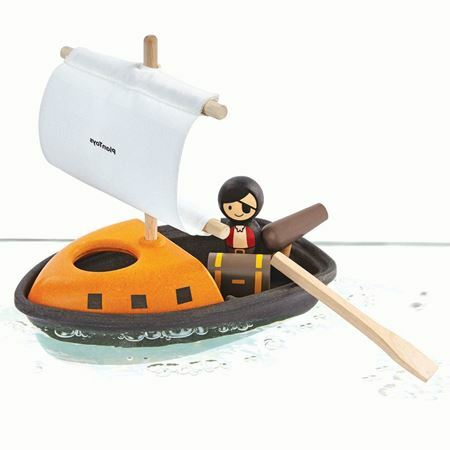 Superb wooden pirate ship with an impressive selection of features for swashbuckling adventures!